We are nearing the end of an amazing season supported by the Ford Foundation, and after interviewing these remarkable activists who have so courageously shared their stories, we decided to interview the funder supporting them – and specifically Nicolette Naylor, the women behind the scenes at Ford Foundation’s Southern Africa office. In our 10th episode supported by the Ford Foundation, Jillian speaks with Nicolette Naylor, Regional Director for the Ford Foundation in Southern Africa where she focuses the organisation’s grant making on human rights and governance, with particular emphasis on advancing the human and socio-economic rights of poor and vulnerable populations. She is passionate about dismantling prejudice, inequality and patriarchy, and supporting transformational organisations and social justice leaders, including those we’ve been privileged to interview on this podcast. 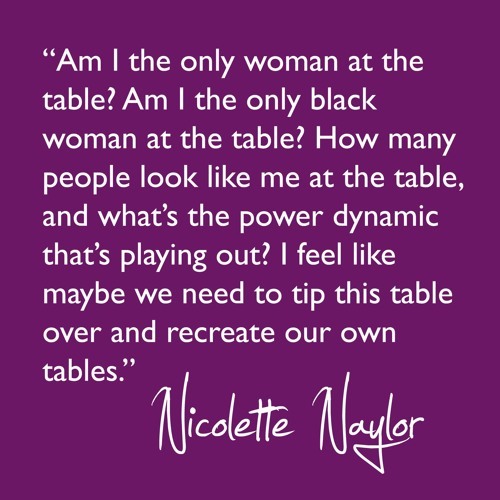 Beyond all this, Nicolette is a powerful black woman who grew up in apartheid South Africa, a driven overachiever who speaks candidly about the personal cost of finally getting a seat at the table. We met Nicolette in her office in Johannesburg, surrounded by photographs of her with the likes of Desmond Tutu and Nelson Mandela. It was a setting that made this conversation about her journey from growing up in one of Cape Town’s townships all the more striking.